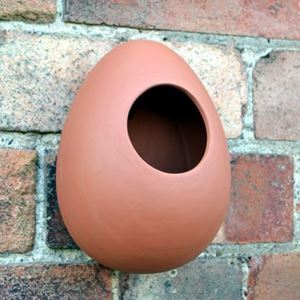 Our nature inspired & UK-made terracotta egg-shaped hanging bird feeder will prove very popular with birds & bird watchers alike. 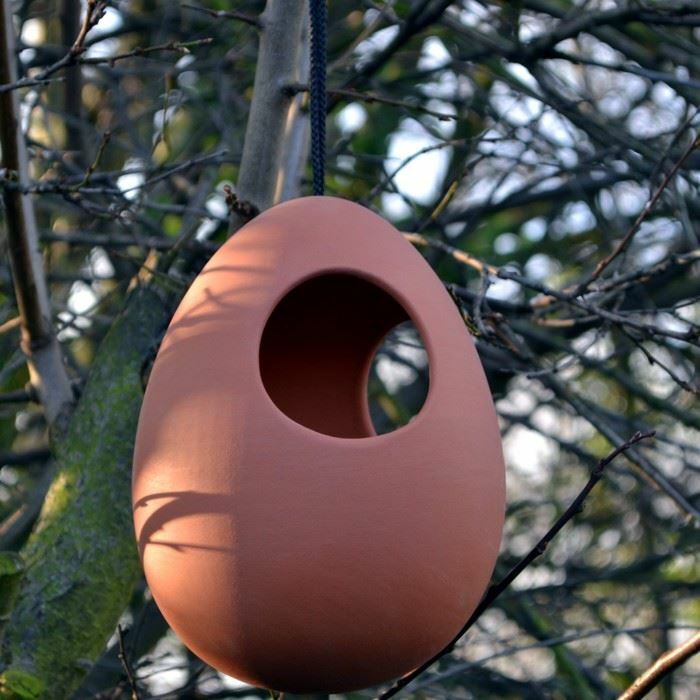 Attractive & practical in design our hanging bird feeder has been designed for ease of use with three large feeding holes providing birds with easy access to food whilst giving good visibility for safe feeding. Supplied with a strong hanging cord for positioning wherever you choose around the garden. There are 3 small drainage holes in the base of the feeder to help prevent water-logging. 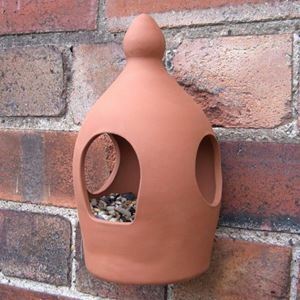 This bird feeder is simple to fill with a variety of bird foods from bird seed & peanuts to meal worms & suet nibbles. 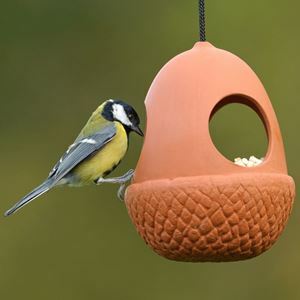 A great present for all bird lovers who will enjoy watching their feathered-friends enjoying a feast at all times of the year.